Thanks to modern designer brands there are myriad of awesome shorts in all kinds of styles, designs and colors. 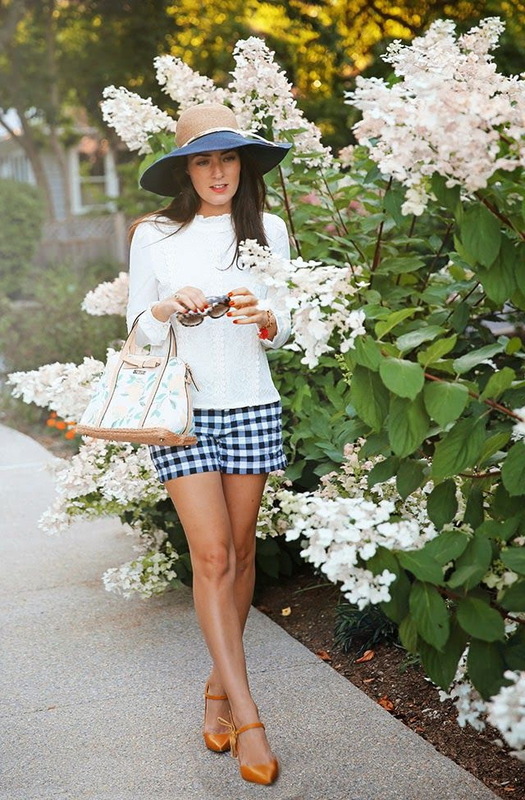 Today’s article is all about women’s formal outfit ideas featuring shorts. There are still lots of disputes regarding the use of these bottoms at work and all kinds of formal events. Of course, all depends on the dress code of your company or an event you are heading to. In this compilation I tried to gather shorts in appropriate length, structure, high-waisted silhouettes, special detailing, etc. I am pretty sure, this street style collection will prove that tailored shorts are extremely versatile and can also be worn at various occasions. This simple garment will promise you great comfort and dressier look. Anyway, let’s take a peek at various outfits to inspire you. That’s a stunning marsala outfit. We see a sleeveless silken top paired with matching color shorts. Complete this look by adding an elegant necklace and cuffed bright blue leather sandals.